Karen Hanson Chalmers M.S. ; Amy Peterson Campbell M.S. Whether you've just been diagnosed or have been living with diabetes for years, you've probably heard your share of diabetes myths. 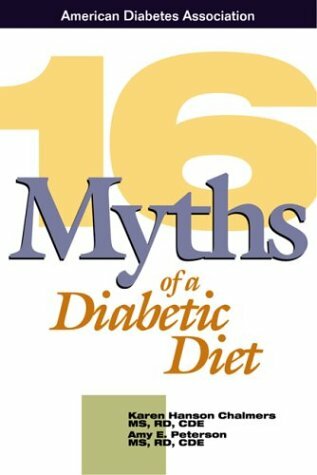 16 Myths of a Diabetic Diet will tell you the truth about diabetes and how to eat when you have diabetes. 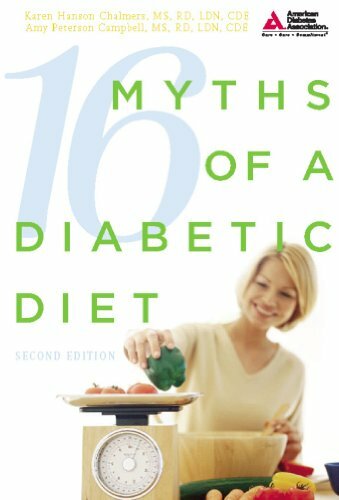 Learn what the most common myths about diabetes meal plans are, where they came from, and how to overcome them. Diabetes doesn't have to be a life sentence of boring, dull meals. Karen A. Chalmers, MS,RD,CDE, is Director ofNutrition Services at the Joslin Diabetes Center in Boston.Amy P.Campbell, MS,RD, LDN,CDE, (Boston, MA) is the EducationProgram Director at the Joslin Diabetes Center in Boston. Karen Hanson Chalmers M.S., Amy Peterson Campbell M.S. Chalmers M.S., Karen Hanson, Campbell M.